Rosenborg Castle Gardens, also called the Kings' Garden (Kongens Have in Danish) is the oldest and most popular park in the central Copenhagen, with approximately 3 million visitors per year. It was established in the early 1600s by the King Christian IV as a connection to his Palace and opened to the public in 1770s. Rosenborg Castle Gardens cover area of 12-hectare and contain several historical buildings, like Rosenborg Barracks, home to the Royal Guards as well as various statues and monuments. Today, the King’s Garden functions as important venue for temporary art exhibitions and other events such as concerts of the Jazz Festival and Open Air Cinema. 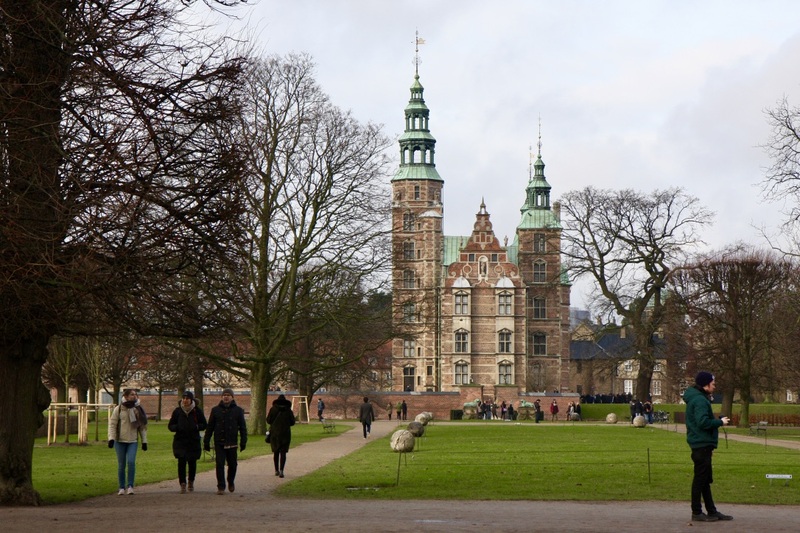 You will find the Rosenborg Castle Gardens located between the National Art Gallery and the Nyhavn area. I highly recommend to visit green oasis of the King’s Garden in the spring and summer time, but every time of the year it will be pleasure to walk paths of the Rosenborg Castle Gardens. If you plan to enter the garden from the corner of Gothersgade and Kronprinsessegade, stop by tiny place called Kafferiet and get delicious coffee to enjoy during your walk in the park.